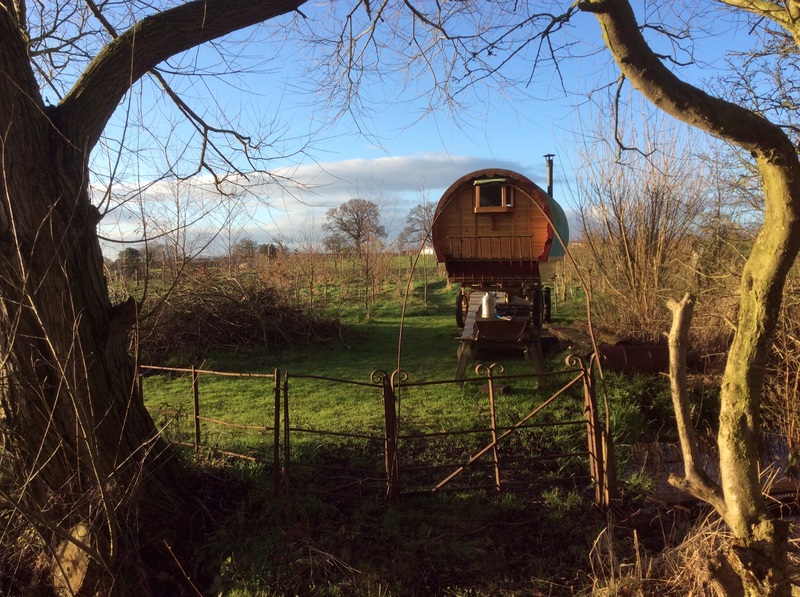 This caravan is available to book for a minimum of two nights. There is a double bed suitable for the more petite and agile. It is self catering with own BBQ or two ring burner and grill in your own kitchen. Seen from above this is your round hut kitchen area next to the gypsy wagon. Plenty of space for you to enjoy the outdoors, but somewhere to shelter from the rain or the sun. Around the back of the wagon you will find your own shower and toilet tucked away. Phil refurbished the outside of the caravan adding new cladding and paint work. When the weather warms up I am hoping to find time to add some pretty decorative painted flora and fauna too. Sanctuary, photo taken a couple of years ago. This is an outdoor camping experience. There is a small BBQ , and small fires are allowed. But for those who don’t want to cook there are some very good restaurants nearby, including two that do breakfasts. 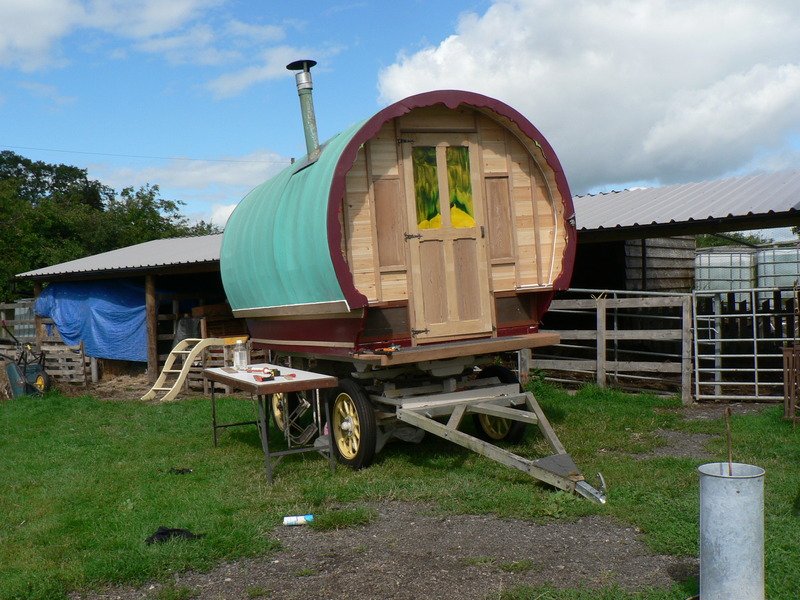 Phil has faced up the back and front of the wagon, replaced the door and added an opening window in the back. Looking good.